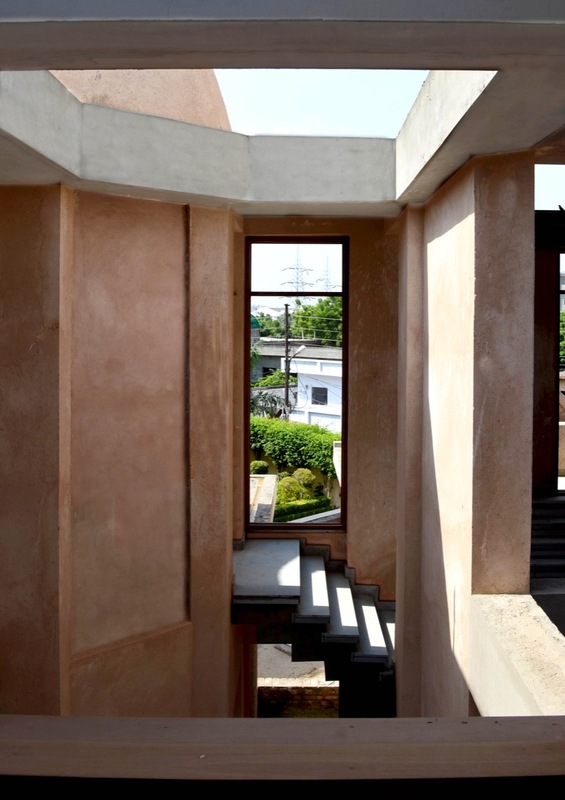 The Vault House at NOIDA, by Chaukor Studio - ArchitectureLive! A plethora of diverse experiences amalgamated into a single urban abode. Built Up Area: 4500 sqft. 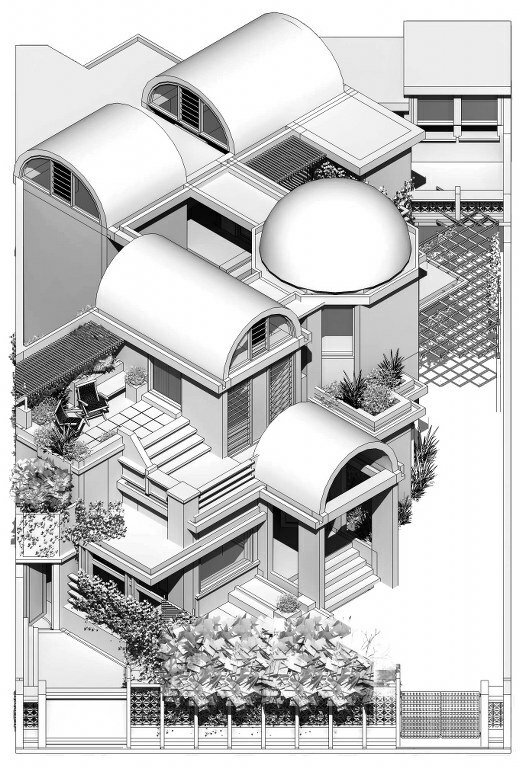 The vault house is planned as a holistic sustainable environment that aims to achieve social connectedness and be ecologically sensitive. As in the case of most urban cities, the ‘Vault House’ is a typical urban single-family residence that evolves with the inevitable agglomerations of a plotted development in the growing city of Noida. The need for land demands the plot to be peripherally surrounded by other residences, leading to a single open side connecting to a secondary lane, with no care to ensure increased visual connectivity to public spaces. Such a cloistered context challenged us to create an environment that restores the connectivity of the user with nature through daily activities as well as provide unique experiences through specific frame of views, play of spatial interconnectivities, private intimate spaces and juxtaposition of various materials, colors and textures. The house tries to encapsulate the essence of a holistic sustainable habitat through appropriate planning strategies and technologies. 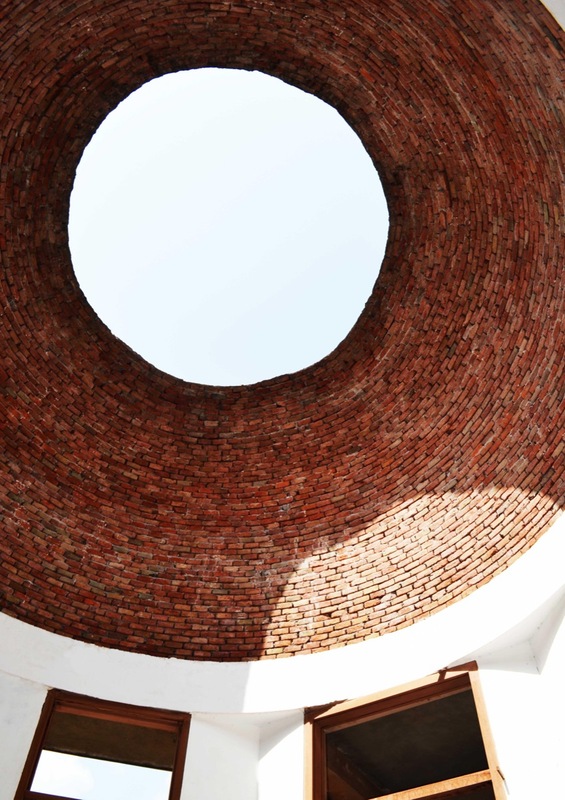 With response to the context, the design follows a typology of a fortified unit with multiple introverted courtyards, roof-top gardens, and uninterrupted views of the sky and the raw character of brick. 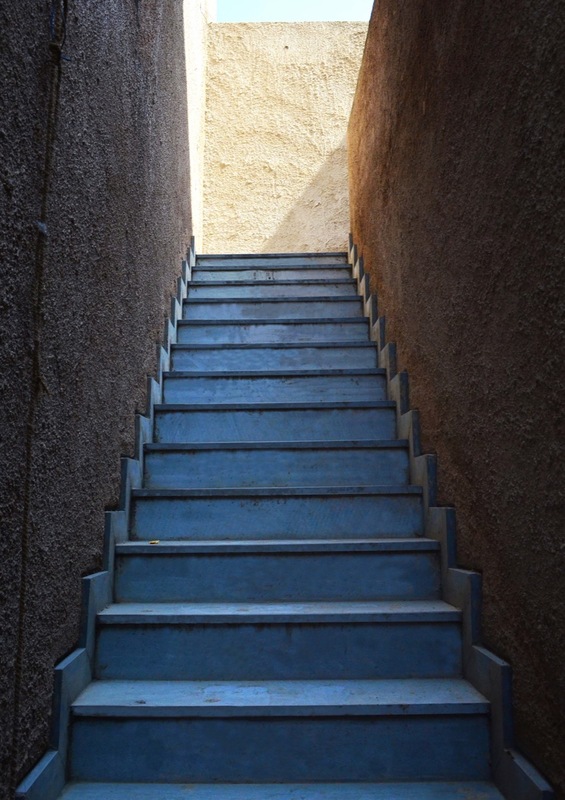 Rooms are made at various levels that break the physical connectivity yet visually connect its users and nature. All these approaches try to capture the fundamentals of a traditional way of living. Experimentation is an important part of generating new ideas. 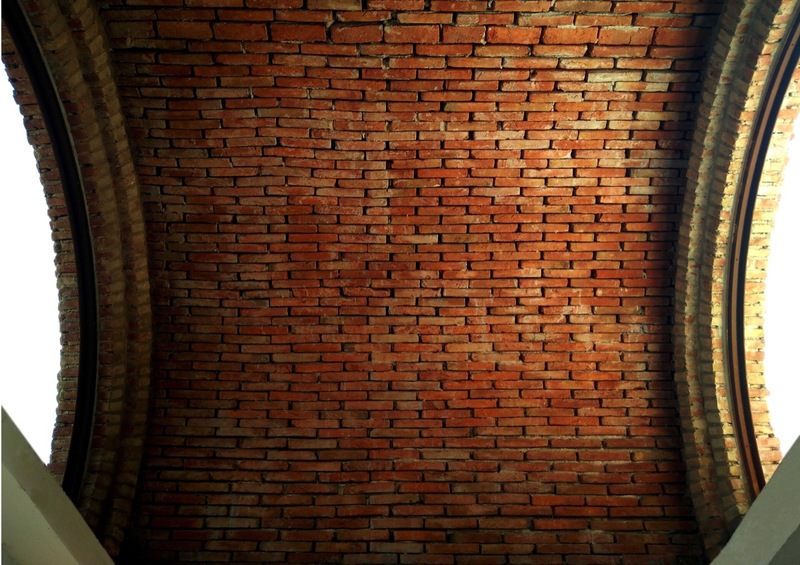 Various structural systems like vaults and domes have been explored using different techniques through locally available brick. 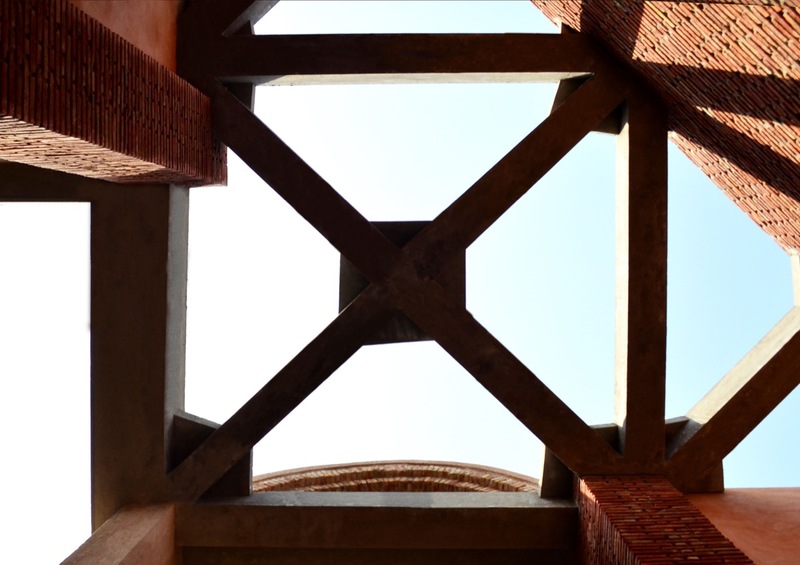 The highest vaulted roof is planned centrally connecting all the habitable spaces of the house, creating a flow of natural ventilation inside. All these elements combine to create an environment within an existing environment. The design reaches out to form volumes of spatial clusters with interconnectivities and tries to expunge the chaos of the immediate urban sprawl. Overpopulated cities don’t allow houses to have enough openness and views. The vault house has been designed to percept certain views which the user may find relaxing. All major living spaces overlook green areas creating a continuous connect of the user to nature. Multiple vaults are created to capture the uninterrupted views of the sky and add an element of surprise in the residence. These framed insights are achieved through different volumes and levels in spaces. Different kinds of skylights create fascinating shadows throughout the day and evoke the user’s experience. Plays in volumes of the building also reach out for interesting connectivity’s within various spaces and creating multiple experiences for the user in his abode. Small terrace gardens connected to different living spaces of the house provide diversity in its kind. A barrier of privacy is maintained through a lot of greenery. Intimate sitting spaces along the bay windows look out to the immediate surroundings which provide space for thought. The double-heighted green courtyard space covered with a skylight forms the center of the house. By placing this atrium centrally, all other activities of the house are directly-indirectly connected to it. Thus, a main dynamic zone is created at the center of the house allowing for interaction to happen. Visual connectivity between the two floors is maintained. The vertical movement within the house revolves around the central courtyard space through inter-connected spaces. This enhances the social interaction taking place between the users. 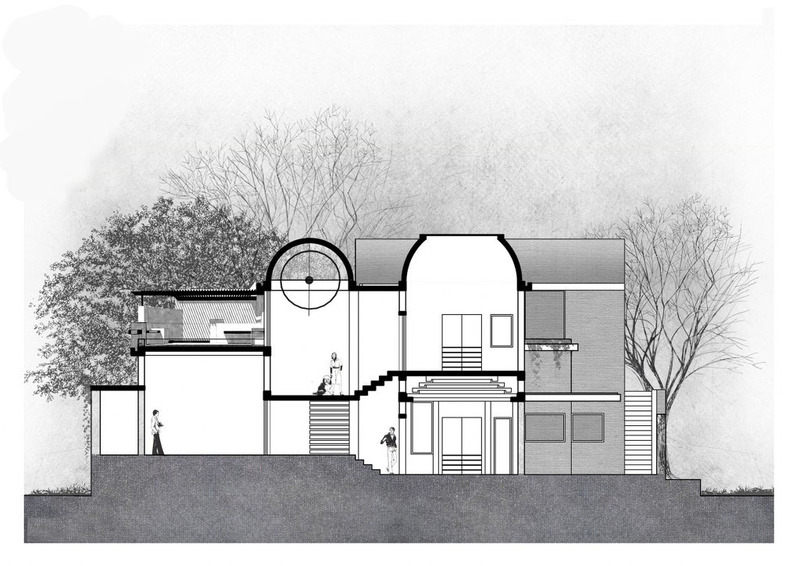 Main Axis of the residence is aligned with the prevalent wind direction. This orientation provides with excellent ventilation during the summer as well as monsoon seasons. Highest vaulted roof is planned centrally to allow ventilation to all habitable functions of the residence. 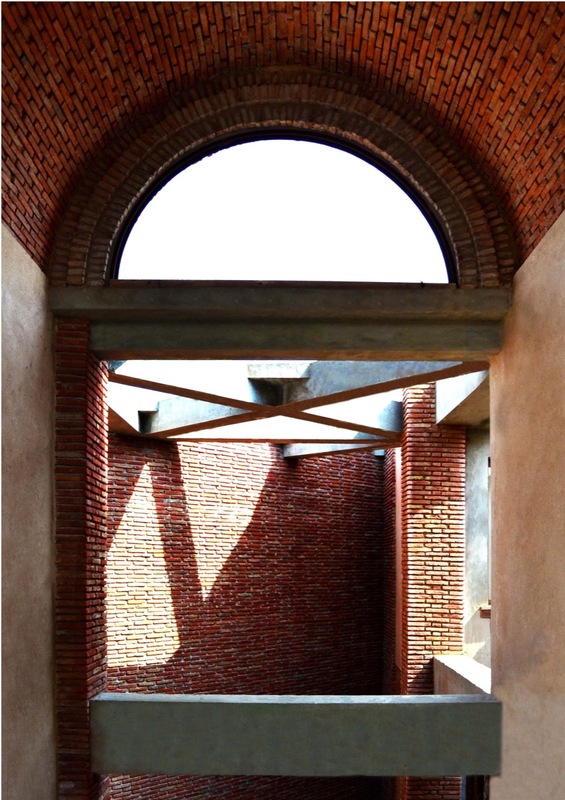 The vault house uses locally available brick in its raw form as the primary structure and encompasses traditional roofing techniques in a modern way which enhances the environment in and around it. Staggered built forms and volumes emerge from all facades and help in inter-shading each other. This reduces the direct heat gains inside the residence. Deep planters are planned on the first floor that increase the thermal mass of the roofs and reduce heat gains. 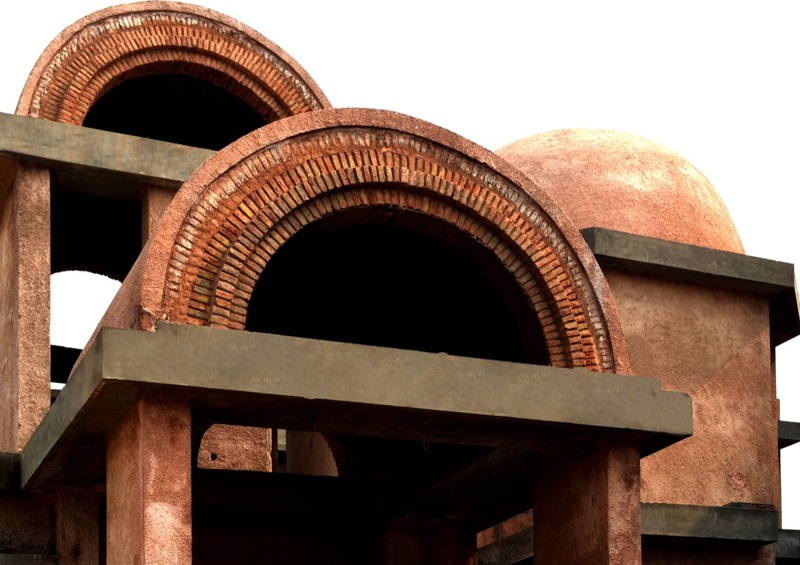 Vaulted brick roofs on the first floor have lesser heat gains due to its shape and high thermal mass of brick. The vault house is a composition of multiple experiences and connections which eliminate the prospect of a mere abode. 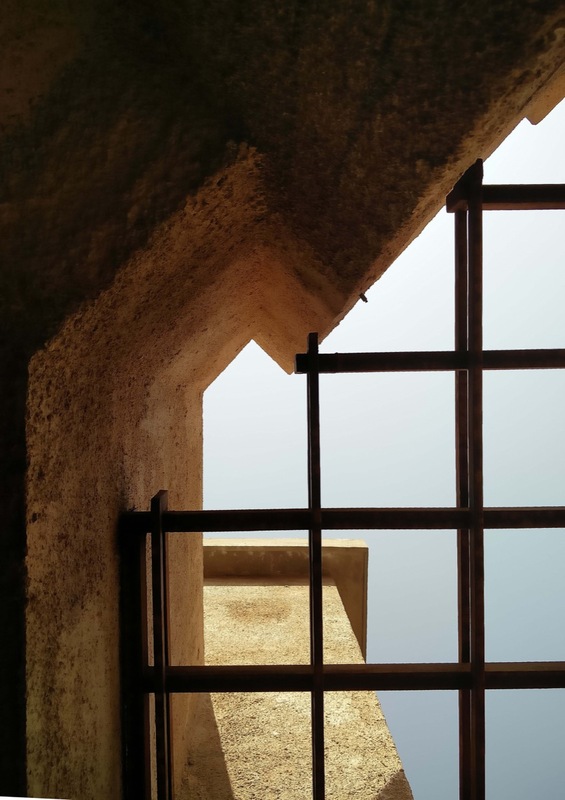 The variegated inter-connections between social spaces and the relationship between the inside and outside are created to enhance the reality of living in a cloistered context. 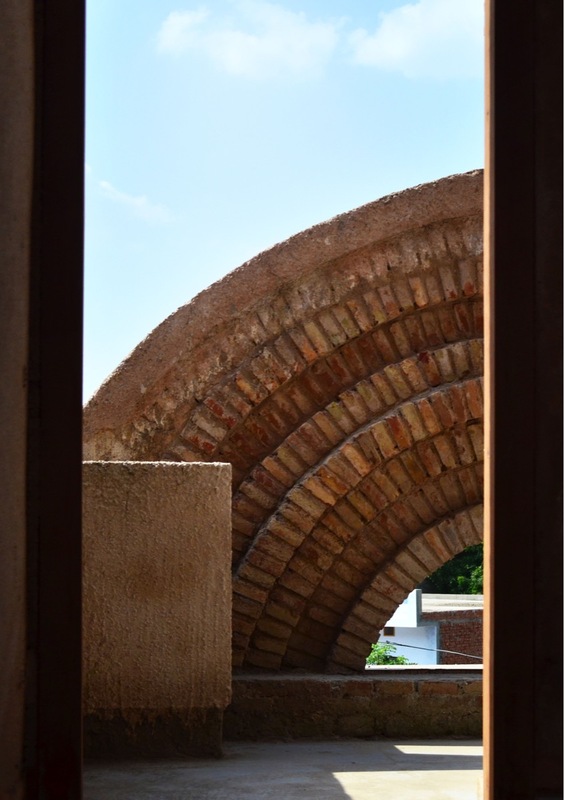 These small improvements made in the way we design thus increase the quality of human life and can be made to support, give back and revitalize the very surroundings from which it has been generated and give form to Regenerative Architecture.